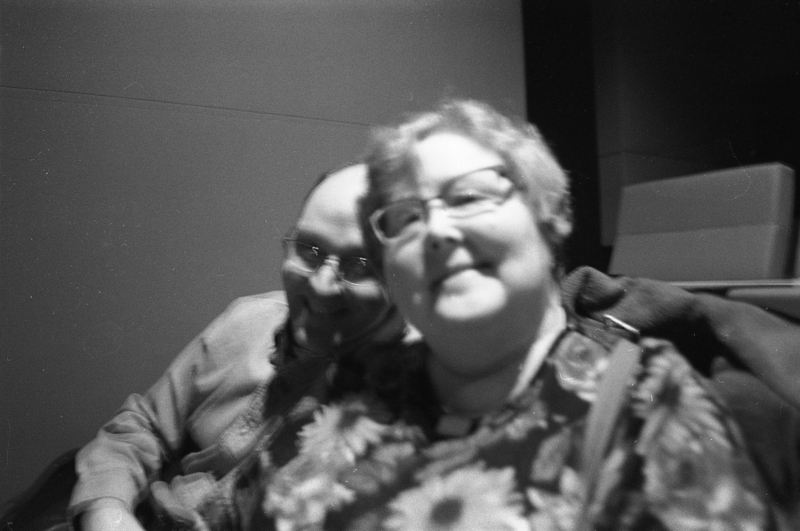 I really wish this photo was not so blurry…. We took my parents on our annual outing to see the British Arrow Awards at the Walker Art Center. It was so cold out that day, I did not want to bring my Hasselblad out, so this was taken with my 35mm Nikon FG-20. My father-in-law gave me that camera years ago (he used it for many years before) and I really enjoy it (though I do hate scanning 35mm negatives). Ilford 400 film developed in Ilfosol 3.
f2.8 1/30 shutter speed (might have been 1/15).